Nadine's wedding is the perfect example that being "rebellious" can also look very chic and classy -- A bride that was clearly able to find a balance between tradition and uber coolness, and assert her and her groom's own individuality. 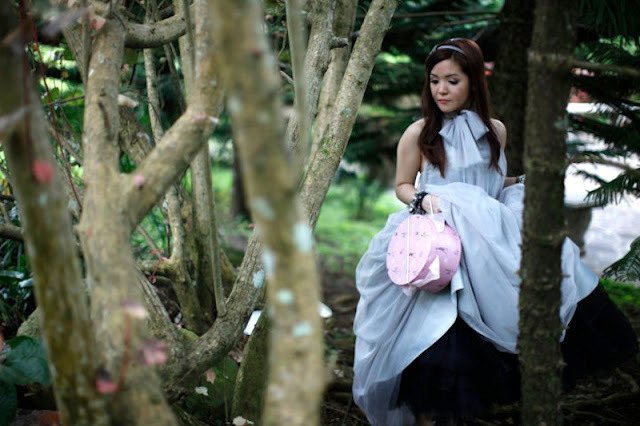 Here are some very interesting ideas from Rebellious Bride, Nadine Wee-Sayson's own "Rock Royalty" wedding! Nadine writes: "Sassa (gown designer, Sassa Jimenez) and I actually have a secret. My gown, which may look white / off-white is actually peach underneath. Nadine shares: "We entered Blue Leaf to the tune of “Enter Sandman” by Metallica! The best part was we were escorted by 6 of our bouncer friends! Stunned faces and guffaws welcomed us...and we just ROCKED it!" -- Your couple's entrance can be the best way to announce to everyone that the ceremony is over so you are out to par-tay and let your hair down. Don't allow yourself to be dictated by "rules". During our June 4 wedding, my mom and her coordinator (yes she had her own coordinator), were trying to force me into having all these reception traditions that my husband and I were not comfortable with. In the end, I really refused to have the usual entrance as well. 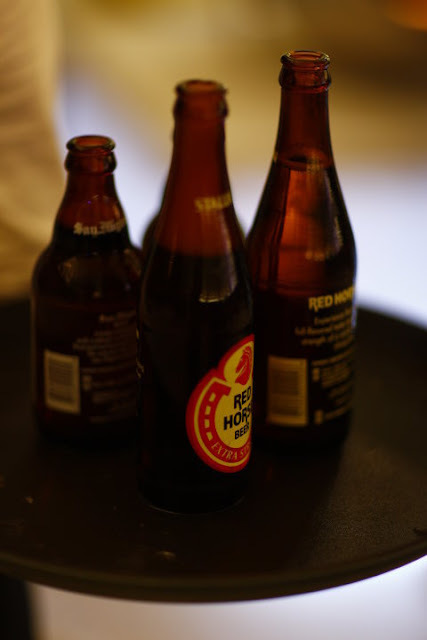 Instead of the usual wedding cocktails, Nadine opted for the most basic, in-your-face, drink, fit for a rockin' wedding---overflowing Red Horse Beer. 'Nuff Said. Nadine also had one of the coolest pre-nup sessions I have seen so far. I have seen similar shoots but this one just has so much more depth. Rebellious Bride Nadine. Assumptionista. Rakista. Media Wondergirl Extraordinaire. Don't let her small frame fool you. 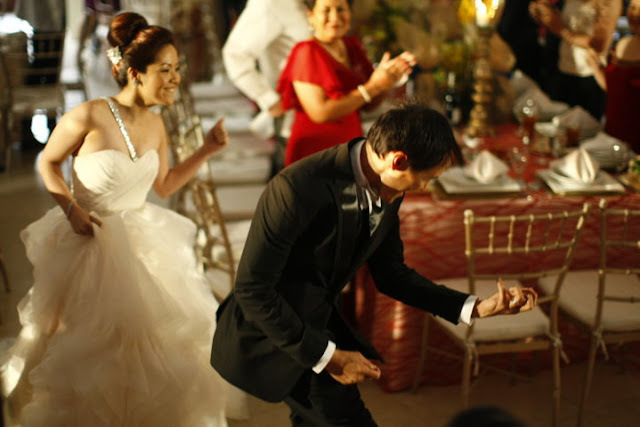 To see more of Nadine's wedding, click HERE. WOW! Thanks Kai Palileo-Cruz!!! Cool Cool Blog! Haluvet! My husband has a request - can he be featured as well? Hahahaha"